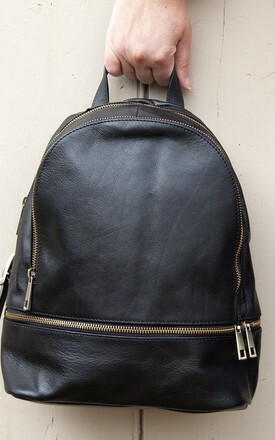 Beautiful buttery soft Italian leather rucksack. A stylish way to carry your essential items. A stylish soft Italian leather rucksack in a black colour. 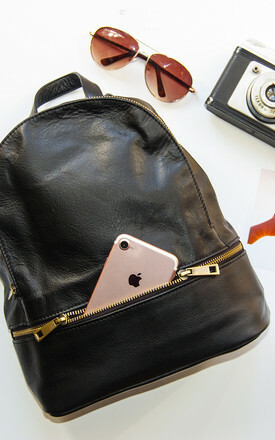 Bijou and practical this leather rucksack has lots of space inside for all your essentials, as well as zip up pockets to keep the important things safe. H 12" x D 4.5" x W 9.5"
Fully lined with a zip interior pocket, two further pockets and a long exterior front pocket.